This document sets forth Everbridge’s (“we” or “us”) privacy notice. It describes the types of personal information that we receive in the course of doing business, how we use that information, third-parties with whom we may share the information, and your choices in modifying or removing the information. We value the trust you place in Everbridge services and our privacy practices. 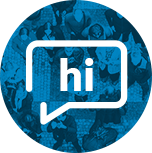 We are committed to providing our customers and users with a secure environment, unparalleled customer service, and state of the art technologies to safeguard your personal information. Everbridge will adhere to the policies and practices described in this privacy notice, as well as any applicable customer agreement as it pertains to personal information. Everbridge owns and operates the following webpages, to which this privacy notice also applies: www.everbridge.com, manager.everbridge.net, www.nixle.com, www.hipaabridge.com, and www.italerting.com (each a “Website” and together the “Websites“). What Information Does Everbridge Collect? Personal information collected from customers. Personal information collected through our Websites and surveys. Personal information collected through our mobile applications. 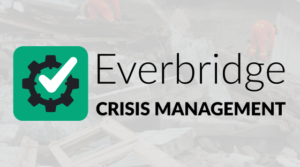 Everbridge provides a critical event management platform that empowers our customers to better manage emergencies. Part of this capability involves Everbridge’s software enabling our customers to broadcast notifications to targeted individuals. To broadcast a notification, the customer will have uploaded into the Everbridge system the individual’s name and basic contact information (such as mobile number, work telephone, and e-mail address), and then the customer will use the Everbridge system to send out the notification. Everbridge has no direct relationship with the individuals whose personal information it processes from customers. Our customers are typically the individual’s employer, or a local or state government agency with jurisdiction over the area where the individual resides. Information that you provide by filling in forms on our website when registering for white papers, marketing, events or webinars, requesting further information about our solutions, when you report a problem with our Websites or when you otherwise communicate with us. This includes personal information such as name, email address and phone number. The personal information that you are asked to provide, and the reasons why you are asked to provide it, will be made clear to you at the point we ask you to provide your personal information and, if you do not provide this information, we may not be able to provide you with the relevant service, information or communication. Information you provide through Nixle® Anonymous Tipping. Information you provide when signing up for Nixle services, such as your cell phone number. Information about your business, such as organization and industry. Demographic information, such as geographic location. 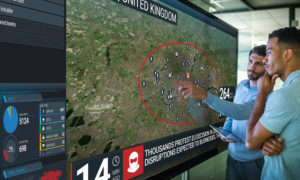 Information collected through automatic data collection technologies. We link this automatically collected data to other information we collect about you. We do this to improve our offered services, marketing, analytics, and site functionality. Please note that Everbridge does not attempt to collect any sensitive information, such as personal financial information, social security or driver’s license numbers, or personal health information, on our Websites. Some of our pages utilize framing techniques to serve content to and from our partners while preserving the look and feel of our Websites. Please be aware that you are providing your personal information to these third parties and not to us. Our website also includes social media features, such as Facebook and Twitter buttons and widgets, and the “Share This” button. These features may collect your IP address, which page you are visiting on our site, and may set a cookie to enable the feature to function properly. Social media features and widgets are either hosted by a third-party website or hosted directly on our website. Your interactions with these features are governed by the privacy notice of the company providing the features. We may provide you the opportunity to participate in surveys on our Websites. If you participate, we will request certain personal information from you. Participation in these surveys is completely voluntary and therefore you have the option whether to disclose this information. The requested information typically includes contact information (such as name and email address) and demographic information (such as zip code). We use this information to better understand our market and customer needs, and to continue to enhance our applications. We may use a third-party service provider to conduct these surveys; that company will be prohibited from using your personal information for any other purpose. We will not share the personal information you provide through a survey with other third parties unless we give you prior notice and the choice to opt-out. We display personal testimonials of satisfied customers on our site in addition to other endorsements. With your consent we may post your testimonial on a Website along with your name. If you wish to update or delete your testimonial, you can contact us at marketing@everbridge.com. Usage Details. Certain details of your access to and use of the mobile app, including traffic data, logs and other communication data, and the resources that you access and use on or through the mobile app. We use mobile analytics software to allow us to better understand the functionality of our mobile app on your phone. This software may record information such as: how often you use the application, the events that occur within the application, aggregated usage, performance data, and where the application was downloaded from. We do not link the information we store within the analytics software to any personal information you submit within the mobile app. Digital Media. Only after you have downloaded a mobile app and subsequently provided consent, a mobile app may access metadata as well as content that you choose to upload from your device. This content may include photographs that you upload, contact information provided when you ask the mobile app to access your address book to send invites, or the number of residents in your neighborhood using the mobile app (but not their identity or contact information). Location Information. We may ask you for your location when you use our mobile app, or when you opt-in to Everbridge services in connection with sending or receiving messages from our customers. You will have the option to include your location which will only be used to assist our customers with whom you are affiliated via that location (for example, a local fire department) to provide better communication in the event of an emergency or other incident. You may opt-out of location based services at any time by editing the setting at the device level. We use this information to monitor, analyse and improve our mobile apps. How Does Everbridge Use Information We Collect? Customer Data. We use customer data only as necessary to deliver the Everbridge services that a customer has agreed to use, which include, but are not limited to, the provision of our notification services, customer support, and notification of new features and services. We may also use customer data to contact you regarding administrative notices, to resolve disputes, troubleshoot problems and enforce the customer services agreement. Everbridge will retain personal information (including geo-location data) provided by our customers for as long as is needed to provide services to our customers and in accordance with the customer’s services agreement. In addition to this privacy notice, usage of customer data is subject to and covered by the applicable customer services agreement. Nixle® Anonymous Tipping. The Nixle Anonymous Tipping service will allow you to anonymously report information about a crime or suspicious activity. In connection with an SMS tip submission, Everbridge will store your number to allow for two-way communication. If you are affiliated with a Nixle customer, a name will be associated with that number. However, your name and phone number will not be displayed to enforcement agencies or other third parties except where required by law. In addition, Everbridge uses industry standard encryption and other safeguards to provide security and anonymity of the information being submitted. 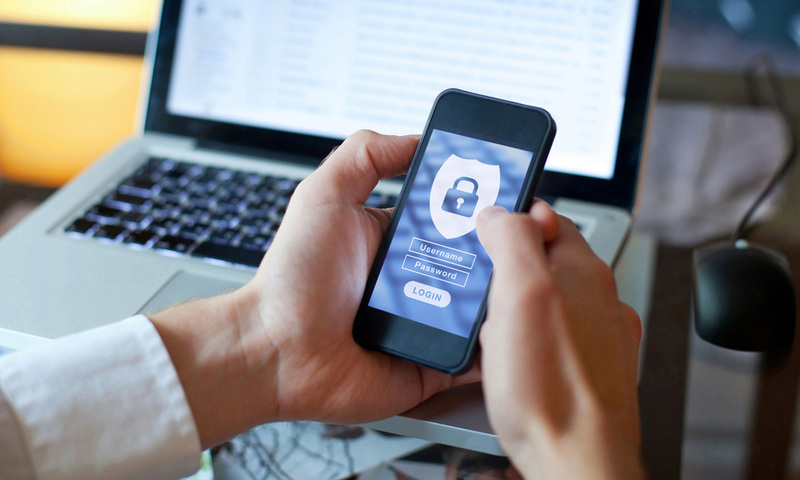 Although such encryption and safeguards are utilized, due to the nature of Internet and mobile SMS delivery networks, we cannot and do not guarantee 100% security, or timely delivery or receipt of the information you submit. Neither Everbridge nor any third party makes any representation as to if, how, or when any information you submit may be acted upon by law enforcement agencies or public safety officials. In addition, Everbridge cannot guarantee how often any such agency or official will review and monitor submitted tips. Under no circumstances should you rely on the anonymous tip service to report issues of an emergency nature or for conditions requiring an immediate response. If your issue is an emergency, please dial your local emergency responder. Nixle services are only available in the United States. Disclosure of Your Information for Third-Party Advertising. We do not share your personal information with unaffiliated or non-agent third parties for promotional purposes, except for customers sending business or promotional notifications to which you have specifically consented, including through opt-in. In general, we will use any of the personal information we collect from you only for the purposes described in this privacy notice or for purposes that we explain to you at the time we collect such information. However, we may also use your personal information for other purposes that are not incompatible with the purposes we have disclosed to you (such as statistical purposes) if and where this is permitted by applicable data protection laws. Other Websites Linked to the Everbridge Websites? Except as otherwise discussed in this privacy notice, this document only addresses the use and disclosure of information we collect from you. We are not responsible for the practices employed by websites linked to, or from, Everbridge websites, nor the information or content contained therein. Other sites accessible through our websites have their own privacy policies and data collection, use and disclosure practices. Please consult each website’s privacy notice rules before proceeding. To our third party service providers on a need to know basis to assist us e.g. operating our website, conducting our business, or providing services to you. To our subsidiaries and affiliates to provide support to you in connection with our websites or Everbridge services. To fulfil the purpose for which you provide it. For example, if you give us an e-mail address to use the “e-mail a friend” feature of our website, we will transmit the contents of that e-mail and your e-mail address to the recipients. Or if you opt-in to text-based notifications, we will use your mobile number to send those notifications to you. As required by law, such as to comply with any court order, subpoena, or similar legal process, including responding to any government or regulatory request, as well as lawful requests by public authorities to meet law enforcement requirements. To enforce or apply our Acceptable Use Policy or our customer services agreement (as applicable) and other agreements. If we believe in good faith that disclosure is necessary or appropriate to protect the rights, property, or safety of Everbridge, our customers or others, or to investigate fraud. However, all such disclosure shall comply with any applicable data protection law. In the context of a sale, assignment or other transfer of all or part of the business. It may be necessary to share our customer data with third-parties in order for Everbridge to provide the services requested by our customers. For example, we will need to transmit an individual’s cell-phone number to a telecommunications provider in order to deliver a customer-initiated notification designated for that individual and others. Under such circumstances we will only transmit the information needed to fulfil the obligations described in our customer’s service contract. These third parties are also bound by contractual obligations to keep personal information confidential and use it only for the purposes for which we disclose it to them. Transfers to these third parties are covered by the provisions in this privacy notice regarding notice and choice, as well as applicable contractual agreements. Everbridge complies with the EU-U.S. Privacy Shield Framework and the Swiss – U.S. Privacy Shield Framework as set forth by the U.S. Department of Commerce regarding the collection, use, and retention of personal information transferred from the European Union (EU) and Switzerland to the United States, respectively. Everbridge has certified to the Department of Commerce that it adheres to the Privacy Shield Principles, and commits to comply with the Privacy Shield Principles as they apply to the personal data of EU and Swiss residents. If there is any conflict between the terms in this privacy notice and the Privacy Shield Principles, the Privacy Shield Principles shall govern. To learn more about the Privacy Shield program, and to view our certification, please visit https://www.privacyshield.gov/. Everbridge commits to resolve complaints about our collection or use of your personal information in accordance with the Privacy Shield Principles. Individuals in the EU or Switzerland may submit queries related to the processing of personal information under the Privacy Shield framework by contacting us directly at privacy@everbridge.com, or by writing to us at: Everbridge, Inc., 25 Corporate Drive, Burlington, MA 01803, Attn: General Counsel. Everbridge has further committed to cooperate with the European data protection authorities (the “DPAs”) and/or the Swiss Federal Data Protection and Information Commissioner (the “Commissioner”), as applicable. If we have not been able to successfully resolve your query or complaint and you are based in the EEA or Switzerland, you may raise your query or complaint directly to the DPA or Commissioner. The services of the DPAs and Commissioner are provided at no cost to you. You can find details of the relevant DPA at http://ec.europa.eu/justice/data-protection/article-29/structure/data-protection-authorities/index_en.htm. Everbridge will comply with any advice given by the DPAs and/or Commissioner, and take necessary actions to remediate any non-compliance with the Privacy Shield Principles. Everbridge privacy practices are subject to the jurisdiction of the United States Federal Trade Commission (FTC), and as such Everbridge is subject to the investigatory and enforcement powers of the FTC. If Everbridge is going to transfer personal data to a third-party that is acting as an agent, it will enter into a written agreement with such third-party requiring that the third-party provide at least the same level of privacy protection as is required by the Privacy Shield Principles. In the context of such onward transfer to third-parties of data of EU or Swiss individuals received pursuant to Privacy Shield, Everbridge is potentially liable if we process such personal information in a manner inconsistent with the Privacy Shield Principles. We have implemented measures designed to secure your personal information from accidental loss and from unauthorized access, use, alteration and disclosure. The security of your personal information and our customers’ information is extremely important to us. When you enter sensitive information and/or geo-location data, we encrypt the transmission of that information using up-to-date security technology (e.g. TLS). The safety and security of your information also depends on you. Where we have given you (or where you have chosen) a password for access to certain parts of our website, you are responsible for keeping this password confidential. We ask you not to share your password with anyone. We urge you to be careful about giving out information in public areas of the website. Unfortunately, the transmission of information via the Internet is not completely secure. Although we do our best to protect your personal information, we cannot guarantee the security of your personal information transmitted to our website. Any transmission of personal information is at your own risk. We are not responsible for circumvention of any privacy settings or security measures contained on the website. If you have any questions about security on our website, you may contact us at privacy@everbridge.com. Customer Data. If you are accessing Everbridge services as an employee, resident or other designee of one of our customers, and you wish to make any changes to your contact information, you will need to do so through that customer. If you would no longer like to receive communications from the customer, please contact the customer that you interact with directly. If the customer requests Everbridge to remove the data, we will respond to their request promptly, within a reasonable period of time. Promotional Offers from Us. If you do not wish to receive information about our products or services, you can opt-out by going to http://go.everbridge.com/Email-Preference-Center—Unsubscribe_UnsubShorter.html and adjusting your user preferences or by clicking on the “unsubscribe” or “opt-out” link in the promotional e-mails we send you. You may also e-mail your request to marketing@everbridge.com. If we have sent you a promotional e-mail, you may send us a return e-mail asking to be omitted from future e-mail distributions. Push Notifications. We may occasionally send you push notifications through our mobile apps to send you updates and other service related notifications that may be of importance to you. You may opt-out from receiving these types of communications, at any time, by contacting our support team at privacy@everbridge.com. You have the right to complain to a data protection authority about our collection and use of your personal information. For more information, please contact your local data protection authority (the contact details for data protection authorities in the EEA, Switzerland and certain non-European countries are available here). We respond to all requests we receive from individuals wishing to exercise their data protection rights in accordance with applicable data protection laws. Also, for general users on our website, you can fill out a new form to access, update or request deletion of your information, or email us at marketing@everbridge.com. California Civil Code Section § 1798.83 permits users of our website whom are California residents to request certain information regarding our disclosure of personal information to third parties for their direct marketing purposes. To make such a request, please send an e-mail to privacy@everbridge.com or write us at: Everbridge, Inc., 25 Corporate Drive, Burlington, MA 01803, Attn: General Counsel. Text HELP to 692692 for help or contact customer service at securedesk@nixle.com, or dial 1 (888) 366-3969. To opt-out of the program, reply STOP to 692692. As we continue to develop our business, we might undergo a change of ownership such as a merger and/or a sale of all or substantially all our stock or assets. In such transactions, user information, including customer data, generally is one of the transferred business assets. By submitting information on the website, through data import, or any other means, you acknowledge that such data may be transferred to such parties in these circumstances. However, any party purchasing our assets will be subject to an obligation to maintain the integrity of your information. You will be notified via email and/or a prominent notice on our website of any change in ownership or uses of user information, as well as any choices you may have regarding your information. We may update this privacy notice to reflect changes to our information practices. We encourage you to periodically review this page for the latest information on our privacy practices. If you would like to unsubscribe from alerts or other communications, please send an email to: privacy-unsubscribe@everbridge.com. The data controller of your personal information is Everbridge, Inc. This privacy notice is effective as of May 3, 2018.